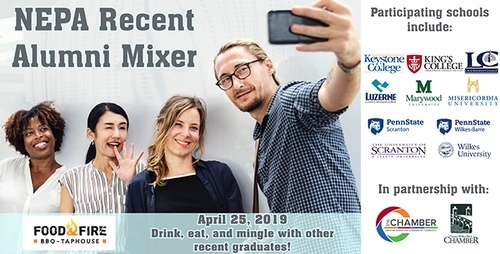 Calling all recent college graduates of Northeast PA colleges and universities to come together for a mixer on the mountain. Join us at Food & Fire BBQ Taphouse to mingle and make new friends in a fun environment. All attendees will receive a drink ticket and enjoy a wide array of amazing cuisine from Food & Fire BBQ Taphouse.